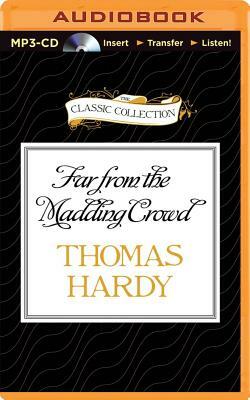 First published anonymously in 1874, Far from the Madding Crowd soon skyrocketed Thomas Hardy to literary fame. The novel follows Bathsheba Everdene and her three suitors: shepherd Gabriel Oak, introverted farmer William Boldwood, and rakish young soldier Sergeant Francis Troy. Not only does each suitor somehow upset Bathsheba's life, but their effects are also felt in her Wessex countryside community.